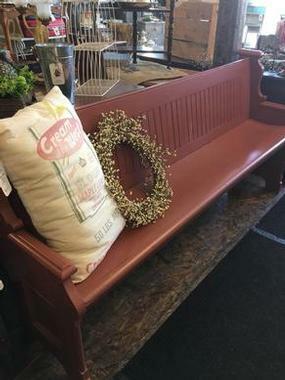 Beautiful sturdy up-cycled church pew/ bench. Measures just over 6 feet long. Painted a warm rust. Great for the porch - a mud room - extra seating at the lake. Priced at $330. Stunning piece!